We carry a full line of credit card machines. We recommed that you contact us and let us know the type of business that you are and how cards are going to be run. 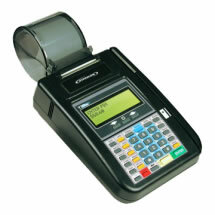 We can work with you to determine the best possilbe solution for your business credit card processing needs. Below are some of the most commonly used. 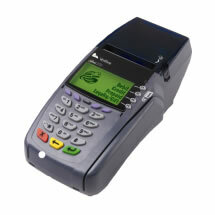 All our equipment is warrantied for the life of your processing account with us. Most machines are reprogrammable. If you currently have a machine just call one of our merchant account specialists and we will inform you if we can reprogram your credit card machine at no cost.